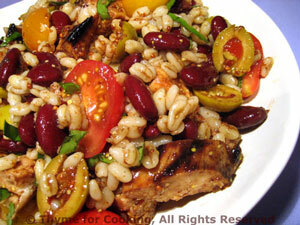 Thyme for Cooking easy recipes: Grilled Teriyaki Chicken and Barley Salad. With quick-cooking barley, this salad is fast and easy. The chicken and barley cook in the same amount of time.